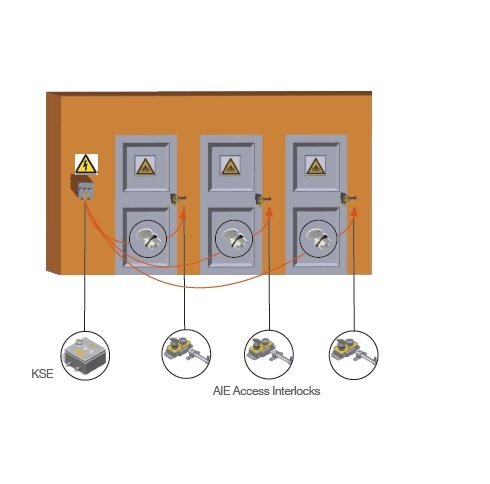 A typical application of Castell Trapped Key Interlock KSE powersafe electrical switch is machine guarding. 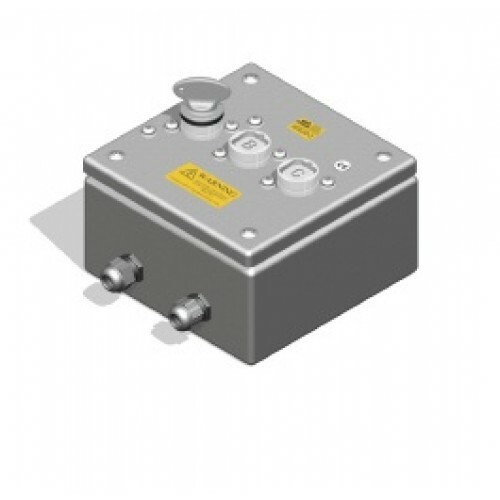 It is usually used in combination with an access interlock such as the Salus for part body access or an access interlock with an exchange key for full body access control. A typical system will isolate machinery and control access to hazardous areas. Inserting the power isolation key in the KSE unit changes the condition of the electrical supply to the machine to a safe condition and enables the release of the personnel keys. These keys are then used to unlock the AIE double key access interlocks. The guards can only be opened when the electrical supply has been switched into a safe condition and only once all the keys have been returned to the KSE interlock can the machine be restarted.